So I'm driving through Elizabeth, NJ the other day, and what do I see while stopped at a light? 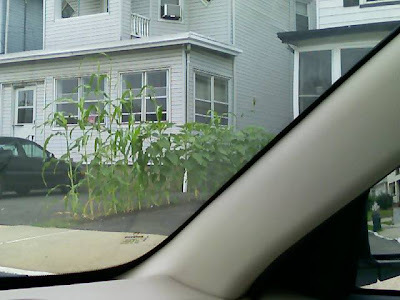 Someone growing a row of corn in this tiny little strip of dirt dividing two driveways. I think they get at least an "A" for effort.